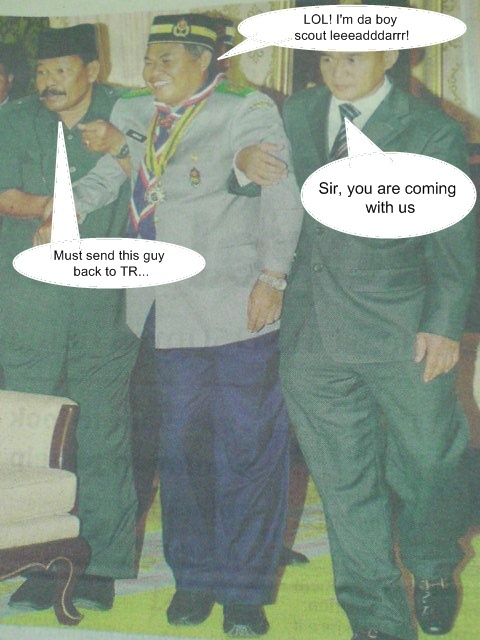 This entry was posted in News Comment and tagged ahmad said, scout on July 30, 2009 by Khim Hoe. Tat guy cacat or mabuk dy? No la… I think he fainted or something. Cant remember. Lol.